There are two filter sizes. The smaller one is used for the MPX, Daystar the an older "Z" model. All other models use the larger one. Clean Fuel is essential to the flawless operation of the Val6 heater line. Nozzles typically have a 200 mesh strainer with holes .0029”. 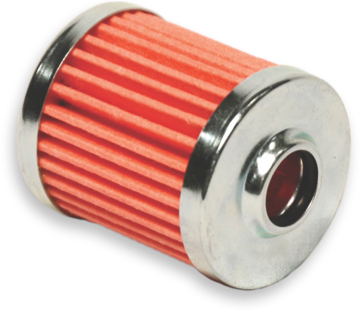 The fuel filter used by the Val6 will filter out particles as small as 10 microns or .00039” when initially installed, but break down with use allowing larger particles to slip through and clog up the nozzle’s strainer or worst, lodge inside one of the .006” channels of the nozzle. This will result in a non-conforming pattern when the fuel enters the combustion chamber and will increase the amount of non-combusted fuel, increasing the amount of fumes and smoke. It is recommended to replace the filter every summer cleanup and every 300-400 hours of operation, more if your fuel is dirty. Fuel tanks should be emptied before units are stored for the summer.